On Sunday 30 September, Long Reef SLSC contributed to the Lyn Dawson memorial walk with a delicious sausage sizzle. 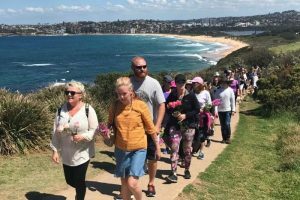 Hundreds of walkers, plus a few TV crews, gathered at the club house, before walking up to the headland for the memorial service, then down to Fisherman’s beach for a colourful gathering with music and BBQ lunch. 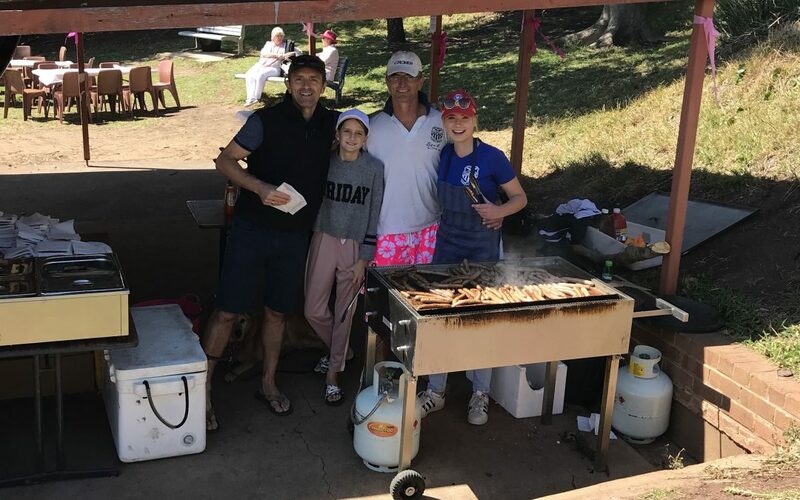 A team of Longy members worked tirelessly to feed the hungry walkers, who enjoyed sausages and fruit juices provided by our sponsors “The Free Range Butcher” and “Mountain Fresh Juices”. All proceeds and donations from the BBQ went to the Manly Warringah Women’s Shelter, as per the wishes of Lyn’s family. “Fargo the Argo” (as in our beloved 6-wheeled all terrain vehicle) was also put to good use to ferry some of the elderly participants from Fisherman’s up to the headland. Bev, the organiser of the event, was very grateful for our club’s support, as were members of Lyn’s family. A special thank you to Pete, Rob, Stuart, Hadzi, Hanna, Noemie, Justin, Amy, Paul and Patrick for helping out on the day. We definitely showed everybody what a great club we are! Here’s a link to the article about the walk published by ABC News (click here).